No matter the size or shape of your bedroom we will deliver you a practical, beautiful solution to your exacting standards. Fitted wardrobes and Bespoke Bedroom furniture built for your specific needs. Our experience and friendly designers will gladly help you with your bedroom storage dilemmas. If you are looking for something truly unique, made to your specific requirements and crafted with the highest quality material we are able to help. We understand that functional storage, combined with exceptional craftsmanship is what make the difference a bedroom and a tranquil space to relax and unwind. 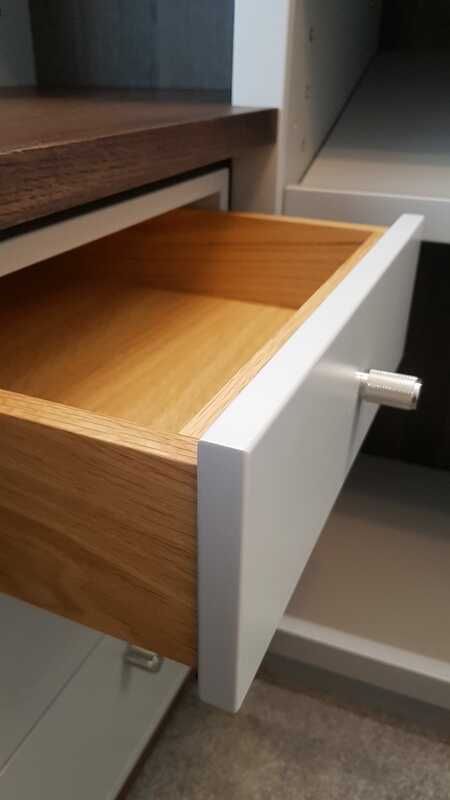 Every centimetre of your bespoke bedroom furniture and fitted wardrobe is carefully planned and thought through, we offer our clients an extensive range of styles and colours planned and executed to the finest detail. Please get in touch with us to discuss your requirements, we would be excited to hear from you.